All the important techniques - detailed step by step explanations and professional tips that will change your sewing life forever! You’ve probably already sewn a project or two, wore it proudly or maybe you made someone a handmade gift and now you want more! With this course, you’ll be able to expand your skills and learn how to overcome difficult challenges. 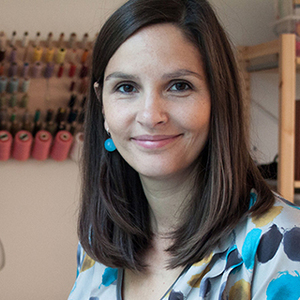 Your coach Steffi Falk will walk you through, step-by-step, and help you better understand your sewing machine. 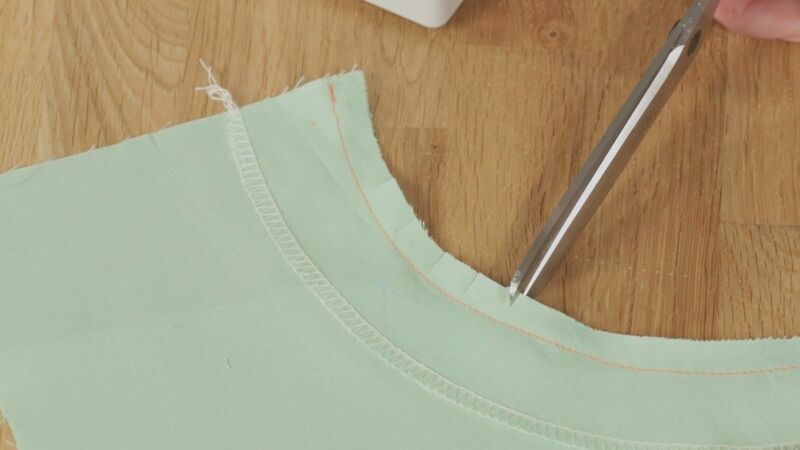 This online course will teach you several techniques and tricks that will help you create high-quality sewing projects. You’ll also increase your sewing know-how with additional foundations that are beneficial when creating more detailed and well-fitted garments and accessories. Sign up now and turn your made-with-love project into a “wow, how professional!” project. You should already know how to use your sewing machine. The course is suitable for beginners and more advanced self-taught seamstresses who would like to optimise their technique, whilst gaining more efficiency and skill. 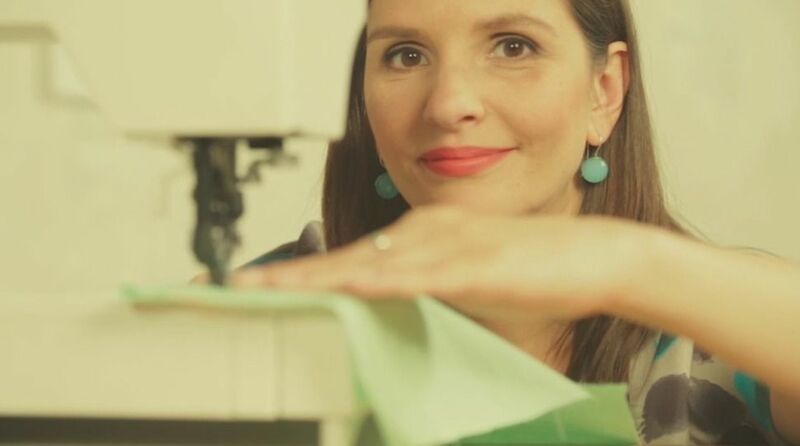 We will help you to become a sewing expert in this extensive Makerist video course. Your coach, Steffi Falk, is going to take you by the hand and teach you everything you need to know about creating the perfect curve, a flat dart and help you to decide which seam to use for different projects. You’ll learn everything you need to know about linings and interfacing, how to sew a seam by hand as well as with a machine and how to refine your edges and corners with bindings and facings. In this episode you'll be given a clear idea of ​​what is expected in this course. Our trainer explains what techniques will be taught to you and what you need to become a sewing expert. Here you’ll learn how to sew a straight plain seam and when to use it. Don’t worry, Steffi will explain the different seams there are, in which garments they can be found and how to create them as well. 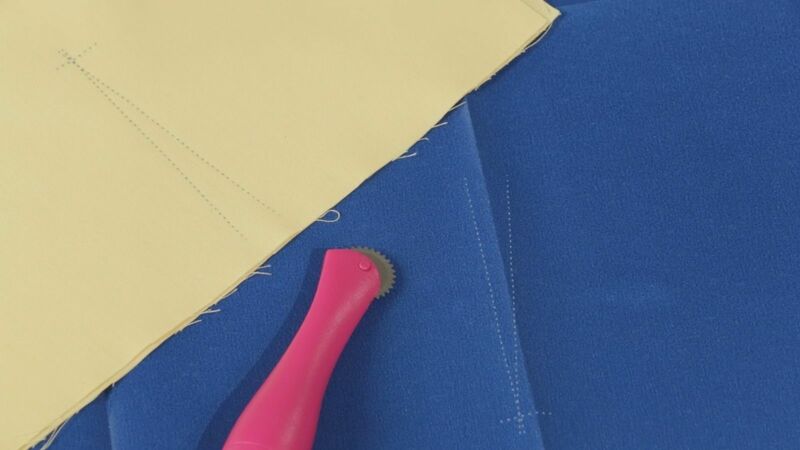 In this episode, Steffi will show you how to serge your fabric with your sewing machine.This will give you a very clean edge that can be processed further. You’ll also receive special tips and tricks when it comes to adjusting your sewing machine. 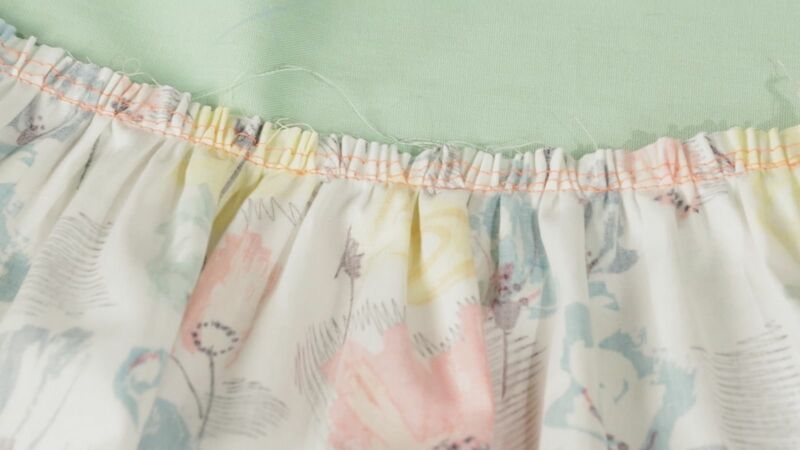 Here you’ll learn how to either embellish your seam with an additional seam or a more decorative seam and learn which advantages the top-stitched seam has. In this episode your coach will release the mystery about the French seam. You’ll find out on which garments the French seam usually appears and you will learn how to sew this seam on different fabrics. This speciality seam is the most frequently used, and so few actually know about it. Steffi will show you where you usually find this seam and why it is a sewing must in this episode. Here our expert will explain you why some seams need to be understitched. In this video you’ll learn how to use a stay stitch properly, you’ll also find out why it’s often used in curves. Steffi is going to show you not only how to sew a curve but also how to work with them thereafter; ensuring a perfect piece in the end. In this episode you will learn how to gather fabric with and without an elastic band. If you’d like to learn more about linings and interlinings then this is the right episode for you. You’ll learn the different types of linings as well as when to use them. Interlining (also known as interfacing) goes hand in hand with linings so you’ll learn about the different types: fusible and sew-in, Steffi will explain everything. Here you are going to learn how to create precise corners. 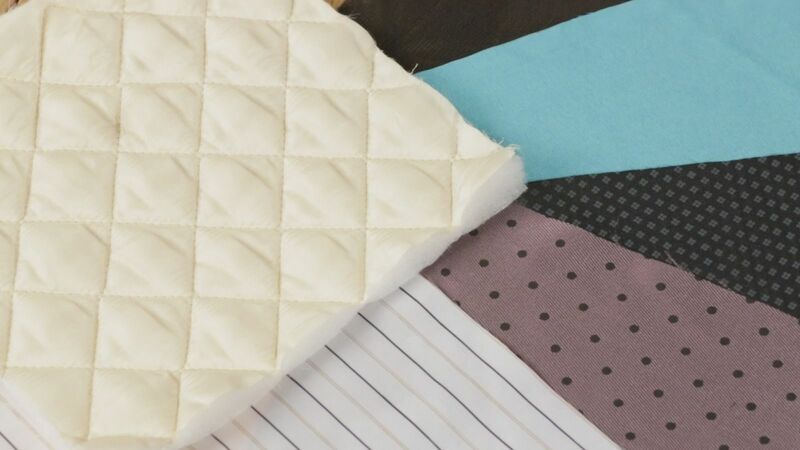 Steffi is going to teach you about encasing your raw edge in a bias binding tape, how to create bias tape on your own. As well as using a binding to finish off a curve or use it as a substitute for facings. Steffi will explain what a facing is as well as all of it’s functions. Since turning corners out is a more difficult task, our coach has prepared a nice project for you. All important steps will be covered: how to snip corners correctly, sewing the tips or points properly, and how to press a curve as well. At the end of our video you’ll hold a finished project in your hands. In this episode you will not only learn why we need darts but how to transfer them onto fabric, press them without a crease and which sewing techniques a dressmaker needs to know. In this video, Steffi is going to add her last touches. Aside from showing you how to sew a hem on the sewing machine, she is also going to teach you how to hand sew a hem. You can decide if your hem should be visible or invisible, Steffi will show you everything you need to know to ensure a professional finish. ... and of course, a project to sew. This was an excellent course relevant to the title and all levels of sewers. I was unable to view the final video due to 'privacy settings'! Video 13- I felt this was too long at 1 hour, though there is a natural break at the 38 minute mark. I would definitely recommend this course for sewers wanting to improve their techniques or to initially learn about these techniques. Thank you for the opportunity to review your on-line sewing course. The Course is designed for students with some knowledge of sewing and basic garment construction knowledge. The Course offered very clear, concise and detailed instructions for the student. The techniques are very good and easy to implement. The tips which are displayed across the screen are easy to read and are useful. Episode 11 on linings and Interfacings was excellent and gave examples of the many types of products available. Episode 12 on Bias binding was one of the best I have ever seen. Delighted to let you know that I have finished watching the sewing course "Become a sewing expert" First of all, The lady doing the voiceover was exceptional, She gives the instructions in a very pleasant, clear, calm and relaxed manner. The lady doing the demonstrating was very concise and went into the details with such a lovely manner. The camera work was also exceptional with close ups of every detail. There is 15 segments and each one is beautifully explained. At the start, you are given a short overview of what to expect during the course which makes you excited to get started to watch. A list of the things you will need to get started sewing the things which will be covered in the course is also given at the start. Each part is an ideal length of time. There is lots of tips and advice along the way with every stage explained and demonstrated in great detail in a very reassuring manner. I thought of myself as being quite an experienced seamstress but even I found this course to be a valuable source of information and techniques which were new to me. I thoroughly enjoyed it and would not hesitate to recommend it to a friend. My marks out of 5, would be 5. The course is well laid out. Very informative for new sewers and also seasoned sewers like myself. Each episode is filmed so you can veiw what the demonstrater has done. Able to rewind and veiw as you progress through the course, which is good. The course is well laid out. Very informative for new sewers and also seasoned sewers like myself. This course is suitable for both beginners and some of us with some knowledge. French seams I found useful. I knew how to do them but Steffi gives detailed instruction. The flat felled seams I have not ever done before so I found this particularly useful. It was shown in great detail and was very easy to follow. I've always struggled with gathering, doing it by hand but Steffi shows a great way with using the machine as well as adding elastic. There are many, many skills is this course you will need for dressmaking that are covered so well. The beauty is if you aren't sure you can just pause and rewind! Steffi has such beautiful well manicured nails too!